Our Wedding Clock celebrates the Holy Union between a Man and a Woman. It is the perfect gift Idea for Newlyweds or anybody who wants to be reminded of that special day. This clock can be personalized with your names, date and city and state. 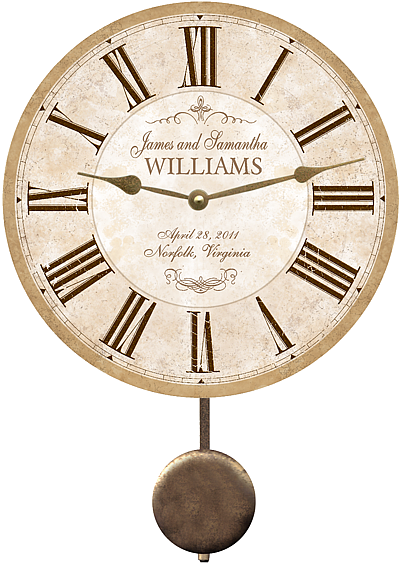 "Wedding Clock" Shown with pendulum option. 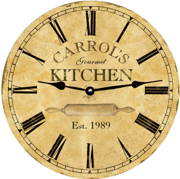 To order now just enter your first names and last name which will appear above the clock hands, then the date, city and state that will appear below the clock hands - then click buy now.